The Petroff Defence is a solid and reliable way to meet 1 e4. It has a strong reputation and has been employed regularly by many grandmasters, most notably former world champions Anatoly Karpov and Vladimir Kramnik. By choosing counterattack instead of defence as early as the second move, Black immediately avoids many favourite weapons for White, including the Ruy Lopez, Italian Game, Scotch Game and a number of daunting gambits. This practical advantage for those playing Black in the Open Games cannot be underestimated. In this book, International Master Cyrus Lakdawala invites you to join him in studying all the important lines in the Petroff. 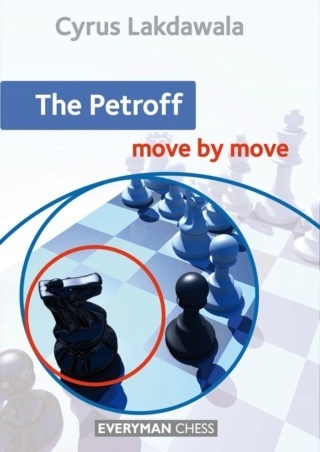 Using illustrative games, he explains the main positional and tactical ideas for both sides, provides answers to all the key questions and tells you everything you need to know about successfully playing the Petroff Defence.